WASHINGTON – It’s now been one year since the Republican-controlled Congress passed a major federal tax overhaul for individuals and businesses. Since that time, both supporters and opponents of the Tax Cuts and Jobs Act have been monitoring its impact on Americans. The 2017 tax bill cut taxes for most Americans, including the middle class. but it mostly benefited the wealthy and corporations by slashing the corporate tax rate from 35 percent to 21 percent. In addition, its treatment of “pass-through” entities resulted in an estimated $17 billion in tax savings for millionaires in 2018. American corporations are also showering their shareholders with stock buybacks, which many say is due, in part, to their tax savings. However, one year later both the S&P 500 and Dow Jones Industrial Average were down from where they were on December 22, 2017, when President Donald Trump signed the Tax Cuts and Jobs Act. And the United States’ federal budget deficit has also increased to $779 billion in fiscal year 2018, up 17 percent from the year before. Critics of the tax plan point to the growing deficit and the Wall Street tumble as proof that Americans are not seeing the broad benefits proponents of the law were hoping for and are now casting fears and concerns on what the long-term repercussions of the plan will be for middle class and low income Americans. 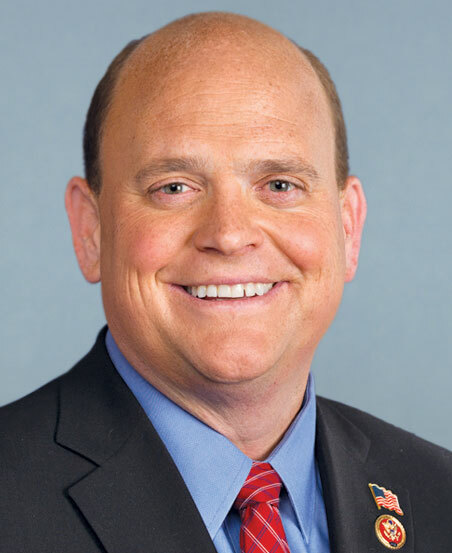 Chautauqua County’s representative in Congress – Tom Reed (R-Corning, NY 23) – disagrees with the recent criticism that’s been expressed the past couple weeks. Like most Republicans in Congress, Reed voted in favor of the tax plan. 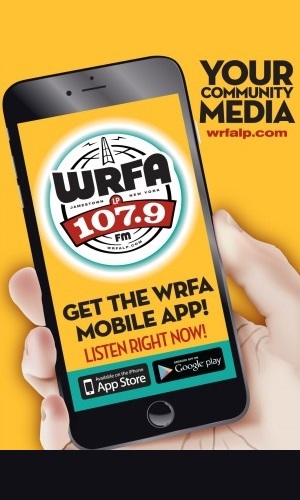 During a conference call on Wednesday with local media, WRFA asked him if the critical assessments of the plan – one year later – are warranted. “When you look at unemployment numbers that are now at historic levels, when you look at the growth that we’re seeing across all spectrums of the U.S. economy, when you see the investments that are behind those job numbers, when you see folks having their wages start to increase – for the first time wage growth not being stagnet or decreasing but increasing, that is directly attributable to the tax cut bill and that is exactly what we were designing it to do,” Reed said. Reed is correct about unemployment. The U.S. Bureau of Labor Statistics reports the national unemployment rate decrease by 0.4 percentage points between November 2017 and November 2018, with 155,000 jobs being created in November 2018 alone. Unemployment figures for December 2018 will be released on Friday. The bureau also reported Real average hourly earnings increased 0.8 percent, seasonally adjusted, from November 2017 to November 2018. Reed also said the tax plan has allowed business opportunities to grow and that the Treasury is seeing increased revenue. “We’re allowing people to invest their money more rapidly into their entrepreneurial and innovative spirit. We’re allowing them to grow their businesses and create new businesses, which means more jobs. And now we’re starting to see on the revenue side in the U.S. Treasury coffers growth on revenue of 2+ percent going in,” Reed pointed out. Despite Reed’s assurance that the tax plan is doing what was intended, critics say that while the tax cuts have juiced economic growth and injected a one-time jolt into the US economy, it’s not going to last forever and the short-term economic boon has already started to dissipate. One such indicator is Gross Domestic Product, which saw growth at an estimated 4.2 percent in the second quarter of 2018 and at 3.5 percent in the third quarter of the year (number for the 4th quarter have not yet been released), but most economists agree those numbers aren’t sustainable on an extended basis. They also say the tax reform package was the wrong thing because it disproportionately benefits the wealthy and corporations, and also done at wrong time because it was an attempt to deliver fiscal stimulus when the economy was already strong and it might have been a better idea to try to address the debt. Congressman Reed said that the best way to address the debt is to not tax your way out of it, but instead work to reduce government spending. He said that can be done by not slashing social safety net programs, but instead by establishing policies that cut healthcare costs, which in turn would bring down government spending for programs like Medicare without harming those who rely on it. “I think a lot of the health insurance reforms of the Affordable Care Act will remain and go forward, but if we can prioritize the issue of reform by focusing on health care costs, you would not only be impacting the private market place but, most importantly, if you deploy those healthcare costs reduction measures in the space of Medicaid/Medicare, you would have a huge positive impact on the spending ledger when it comes to federal expenditures,” Reed noted. Time will tell if new laws are passed to help control healthcare cost and if the users of healthcare take advantage of that, which could help to reduce spending in programs like Medicare. The other option for cutting spending would be to simply restrict access to Medicare to some Americans currently using the program, something that is unlikely to take place as long as Democrats remain in control of one of the two chambers of Congress. It also appears only time will tell just how beneficial or problematic the GOP Tax Reform plan of 2017 will be for America. Reed is correct, this law is doing exactly what it was planned to do. Lower taxes on the wealthy and eventually get rid of the social safety net. Well done Congressman Reed. Your party is succeeding in ruining our country’s economy.